Your pet’s skin is the largest organ of its body. 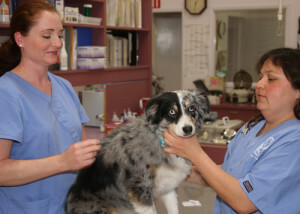 Allergies, parasites, infections, autoimmune diseases and cancers can all affect your pet’s skin. We offer specific diagnostic tests like allergy testing, fungal testing, cultures and biopsies, along with the most cutting edge treatments to ensure the health of your pet’s skin.